If you need to upload an image into Episerver's media library programmatically, then this tutorial is for you. The ContentRepository Also Works With Media! Where are my media files stored? Up to this point, I think the discussion is fairly intuitive and easy to understand, so to recap. 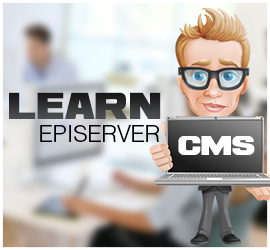 When we work with media in Episerver we first need to define the types that content editors are allowed to use. In order for content editors to be able to work and use that media within the editor, we need to associate our media files into folders. We can then use the normal content repository to access that media. The last part of the media puzzle, which you might have missed, is where exactly is this media stored?!?! This is a great question. When we work with Episerver, we might be using DXC, we might be using Azure, we might even be using a more traditional infrastructure set-up, with on-prem servers, configured in a load balancer. As Episerver can be hosted in a number of different ways, uploading the actual files isn't as straightforward as simply copying them into a folder in your website's webroot. 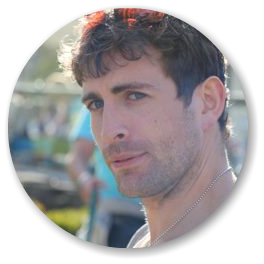 Instead, in Episerver we upload your files as blobs, using the BlobFactory. In case you've never heard of a blob, it stands for Binary Large Objects, in other words, it's just a fancy way of saying 'files. As far as I'm aware (prob should Google this, but hey) it came from a database terminology. In SQL, if you want to store a file within your database, the type you'd use was called a blob. Obviously, uploading several Gigabytes of data into a database is a bad idea, so don't do it! Any file type can be stored in BLOB service, e.g. 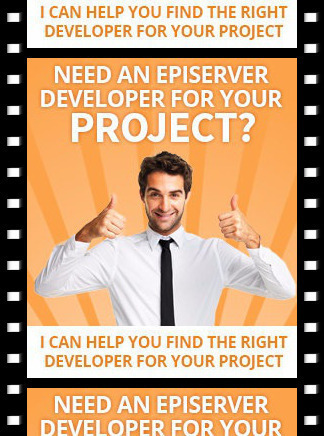 images, text files, etc... Back in Epi 6, you would specify your blog storage folder within the Episerver VPP folder which sat somewhere on your server or a NAS. From Epi 7 onwards, as Episerver moved towards a more continuous integration deployment strategy, by default the blog folder will be located in your App_data folder. All of the blob location is customizable, so you can decide where you want to store the files. Nowadays, most sites I build seem to be hosted within the cloud, using Azure blob storage and the location of the file is 'in the cloud'. You can either get your media asset from your local file system, or you could use a WebClient to get the file from the interweb, but that pretty much covers all the API's and steps that you need to follow in order to upload an image, or media file via code with Episerver, enjoy!